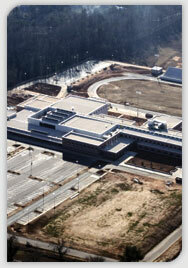 No commercial roofing job is too challenging for Martin Roofing Services. From worker-occupied to high-security facilities, and even government-monitored food preparation and healthcare facilities, Martin has the experience to successfully complete any roofing project. Click the links below for more details on our commercial roofing services. Our inspections and budget pricing allow you to better plan for the future, while our repairs and roof maintenance can postpone costly re-roofing.